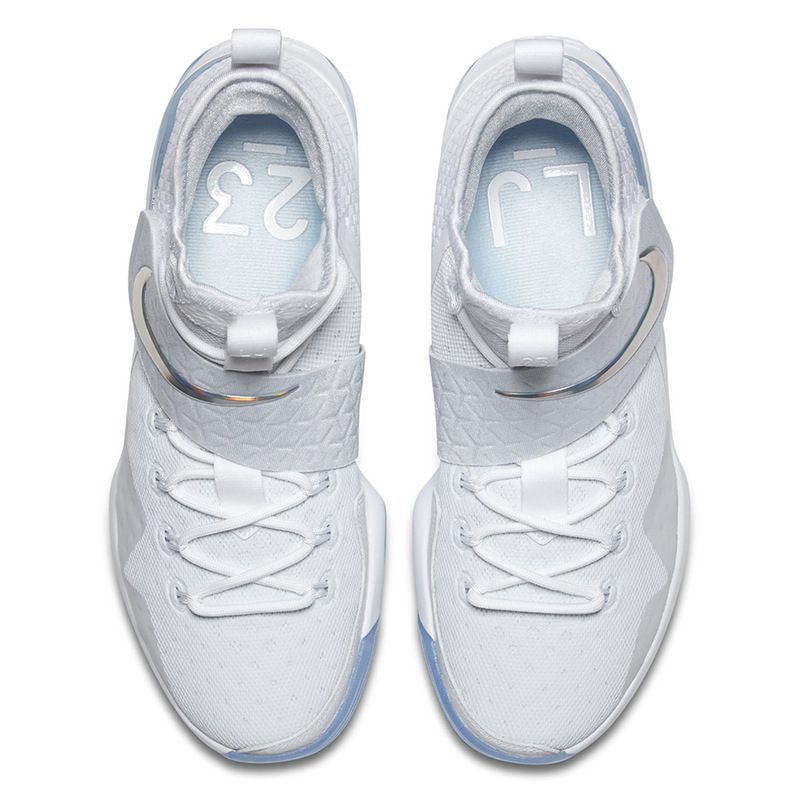 Updated March 21st, 2017: The Nike LeBron 14 “Time To Shine” releases on March 24th, 2017 for $175. 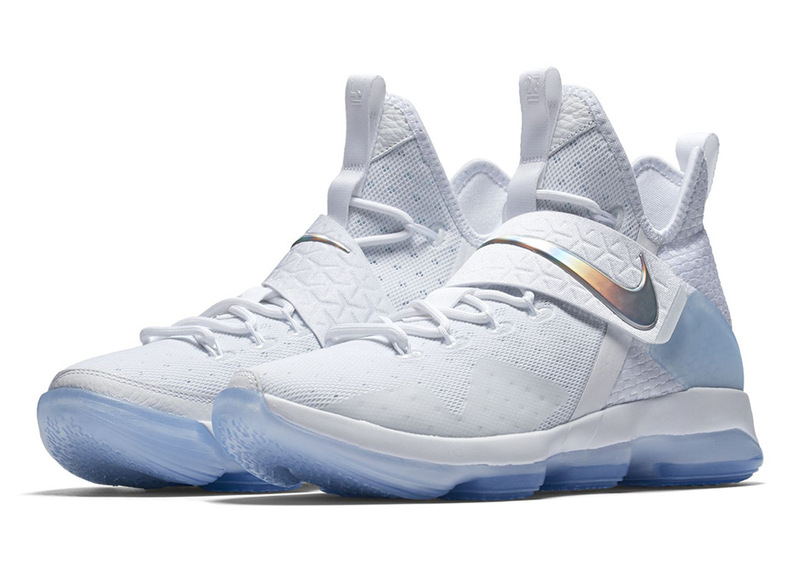 Earlier this week we took a look at the “Time To Shine” collection from Nike Basketball for March Madness including clean colorways with iridescent accents for the PG1, Kyrie 3, and KD 9 Elite, and it looks like the LeBron 14 may be joining the squad. 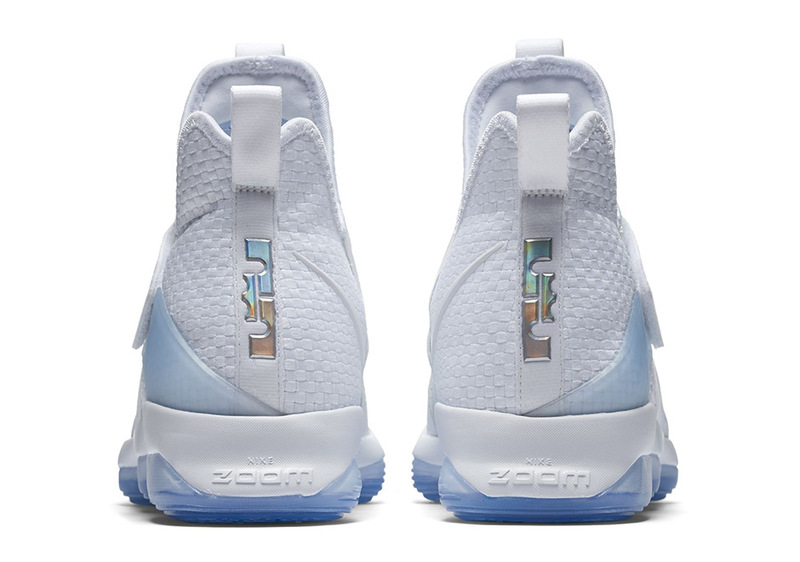 Almost an exact match of his teammate’s colorway from the set, LeBron’s fourteenth signature model receives a crisp white with an icy clear outsole and iridescent Swooshes on the midfoot strap. 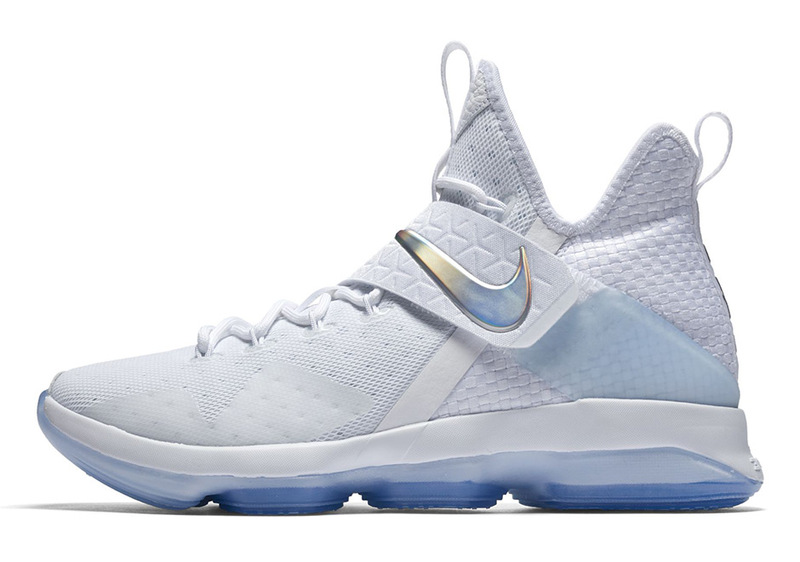 Whether they’re an official part of the “Time To Shine” collection or not, this LeBron 14 will definitely be shining on its own, anyway. 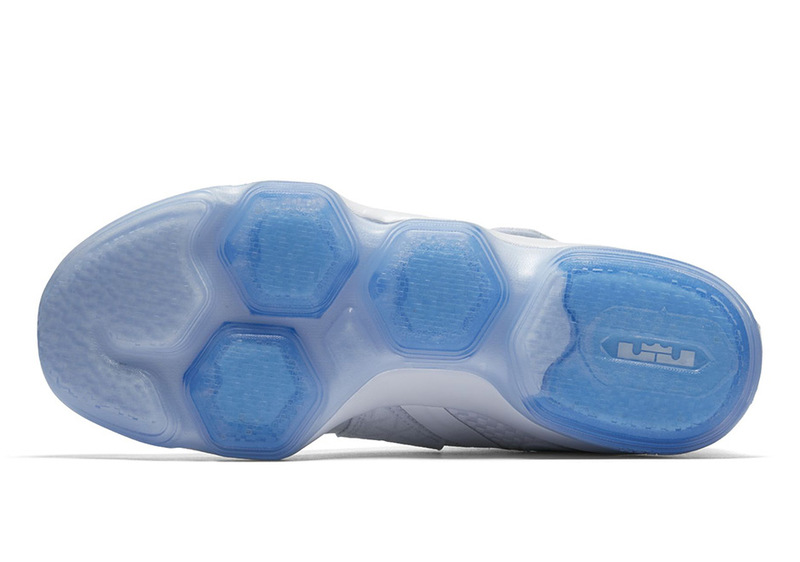 If they are indeed part of the collection, expect them to hit retail with the Kyrie 3 and KD 9 Elite from the “Time to Shine” pack on March 24th. 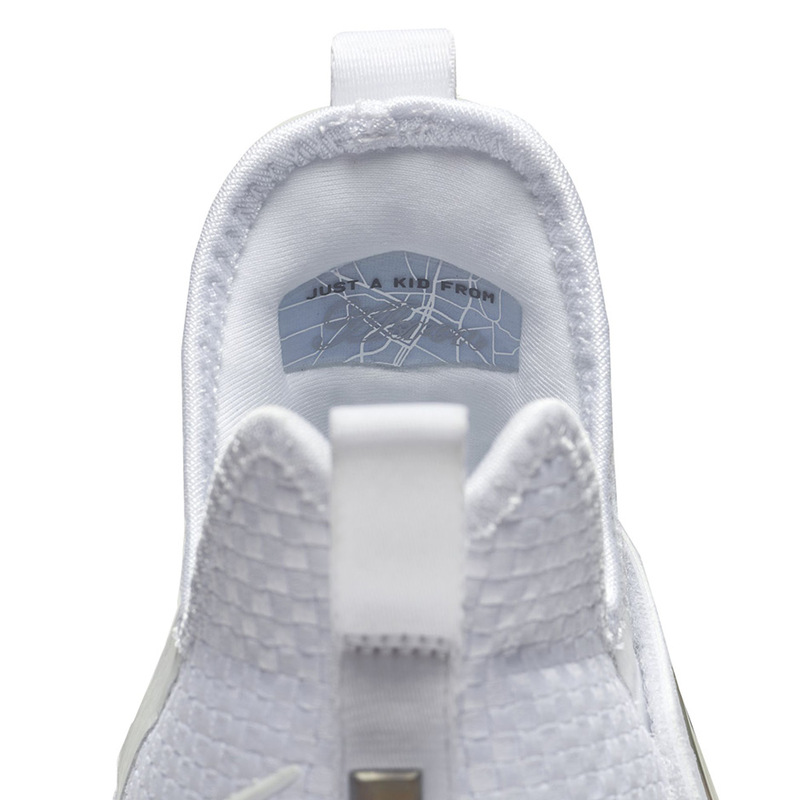 Stay tuned to our Sneaker Release Dates page for a confirmed drop date.